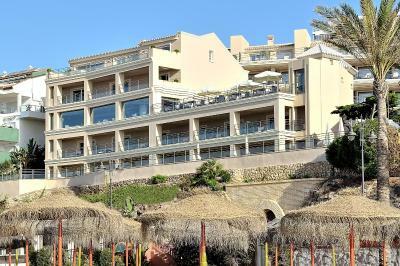 Lock in a great price for Vincci Selección Aleysa, Hotel Boutique & Spa – rated 9.7 by recent guests! The staff were really nice and amazing 👌, I really would stay there next time. Everything! I had the 2 level suite with the solarium and absolutely love it. The staff is sweet and helpful. I’d definitely stay there again. Breakfast was beautifully cooked and fresh to order. 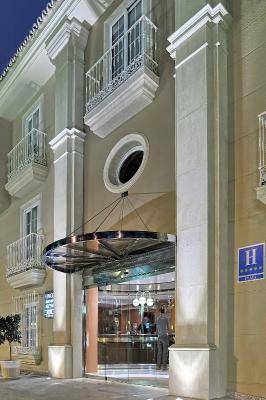 The hotel was wonderful and very welcoming from every member of staff. We will definitely return. 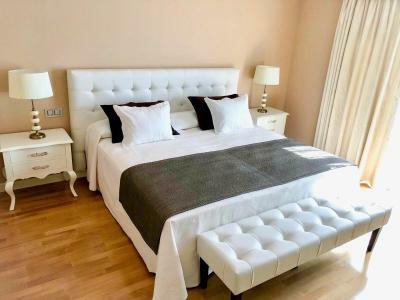 Lovely room with a very large comfortable bed. Patio doors opening out onto our own terrace with sunbeds and a grassed area with more sunbeds. Lots of English channels on the large TV. Fabulous bathroom with a bath and a walk in shower and Jack and Jill sink. I travel a lot with over 180 days away from home every year. The Vincci Alyssa was a weekend trip teat, rates were less than Madrid on the weekend. While the rate was low season, I was treated with high season quality of service. 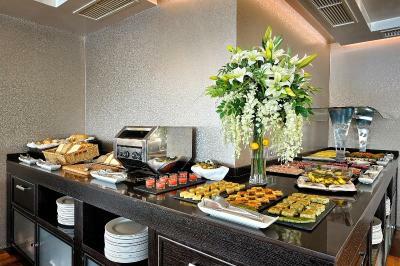 The included breakfast buffet surprised with menu service included and excellent quality food and service, overlooking the Med no less. The spa is well worth the extra if you like hammam bath and steam. I recommend hiking to the eagles nest from the hotel +700M vertical over 5 km. Google map shows the way very easy. Did this both days. Views were unbelievable. Cable car ride down. 3 hrs round trip. 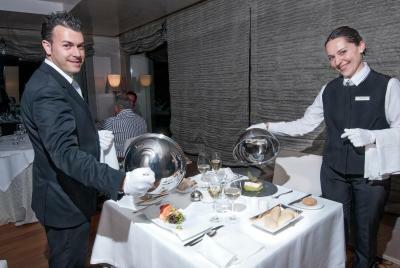 A true 5-star hotel, staff was very kind and attentive, great service, every request we had was fulfilled in no time. Good location. 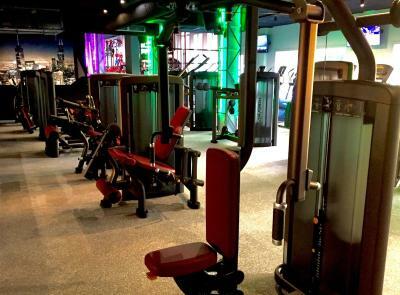 Great facilities. Great service. A very professional hotel and the staff really do try hard to ensure you have a good time. 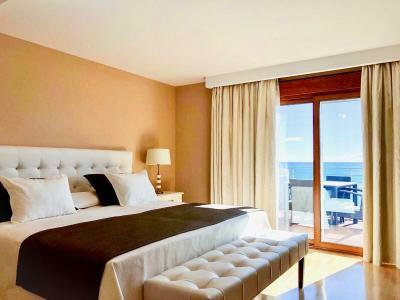 Vincci Selección Aleysa, Hotel Boutique & Spa This rating is a reflection of how the property compares to the industry standard when it comes to price, facilities and services available. It's based on a self-evaluation by the property. Use this rating to help choose your stay! 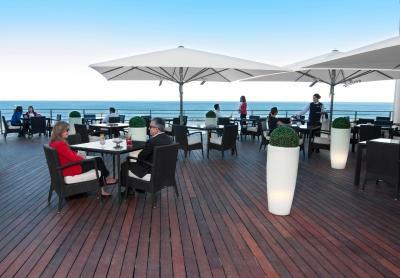 One of our top picks in Benalmádena – and a guest favorite. 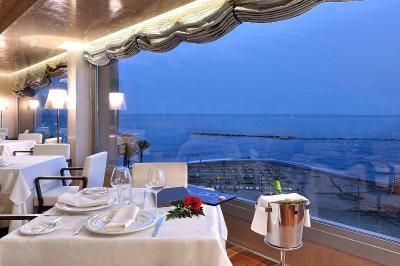 This beachfront boutique hotel with outdoor swimming pool and hot tub overlooks the Mediterranean Sea. 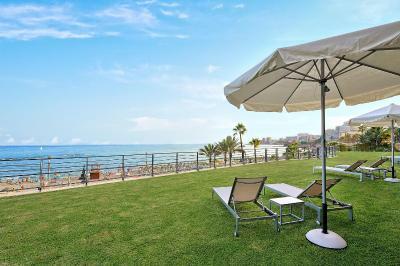 It has direct access to Benalmádena's Las Gaviotas Beach, and all its spacious rooms offer sea views. Vincci Selección Aleysa’s modern, air-conditioned rooms are equipped with a full-led 42-inch TV with satellite channels, as well as a CD and DVD player. They also include a laptop safe box, a small fridge and an electric kettle. 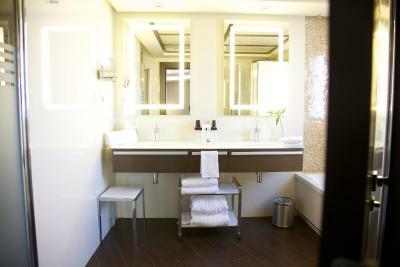 The stylish bathrooms include a bathrobe, slippers and toiletries. 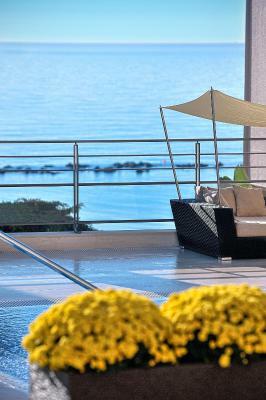 Free yoga and pilates classes are available on request in the hotel's garden, overlooking the sea. Vincci Selección Aleysa also offers courtesy cars upon request. 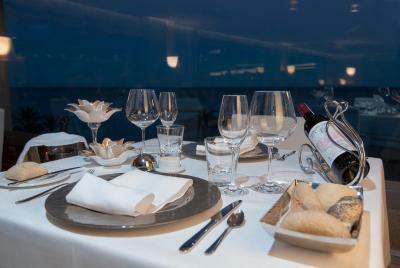 Vincci Selección Aleysa Hotel Boutique & Spa's restaurant serves international food. The hotel's breakfast includes products for celiacs. 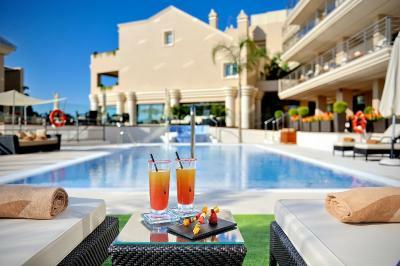 There is also a snack bar, terrace and lounge-bar. 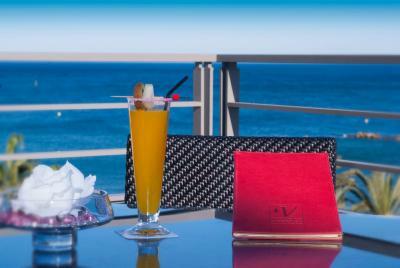 Puerto Marina leisure port, including a shopping center and several bars and clubs, is 0.9 mi from the hotel. 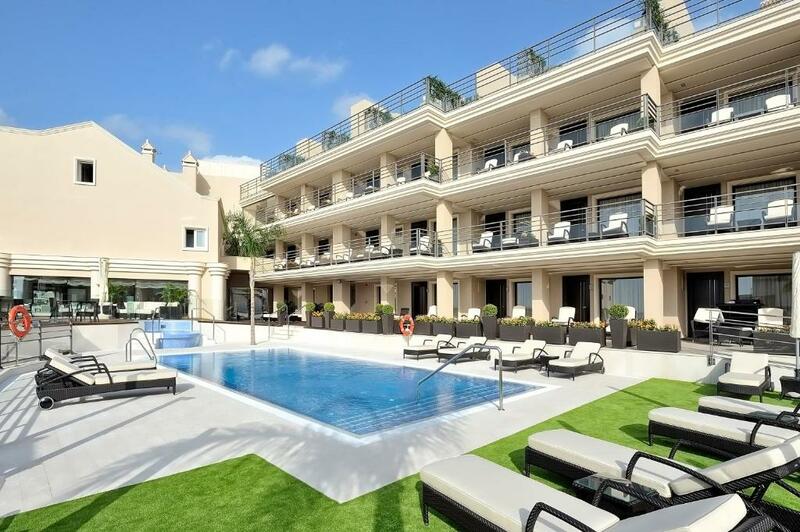 Torrequebrada Golf Course is less than 10 minutes’ drive away. 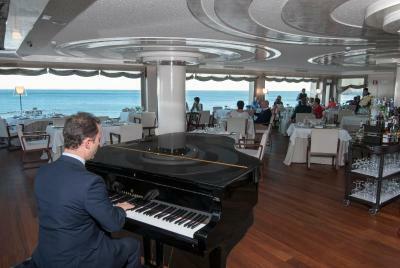 This is our guests' favorite part of Benalmádena, according to independent reviews. 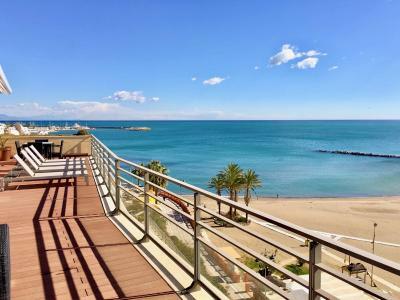 This property also has one of the top-rated locations in Benalmádena! Guests are happier about it compared to other properties in the area. 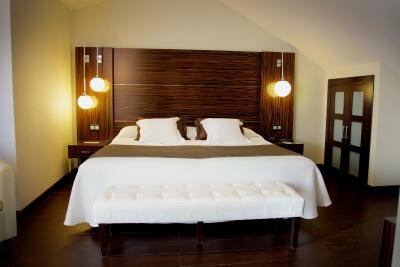 When would you like to stay at Vincci Selección Aleysa, Hotel Boutique & Spa? 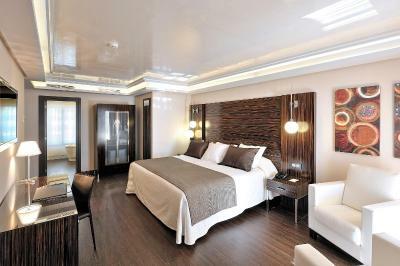 This spacious, air-conditioned room offers sea views and has a full LED 42-inch TV. 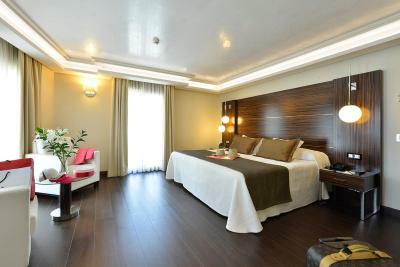 The spacious Superior Rooms are closer to the sea and offer wonderful views, plus there is a full LED 42-inch TV. 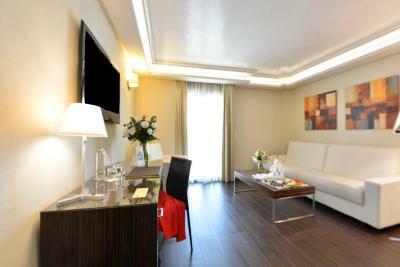 The Junior Suite is a larger room type than the Double and Superior Double and includes a full LED 42-inch TV. The Duplex Suite occupies 2 levels and is the largest room type. It includes a full-led 42-inch TV. 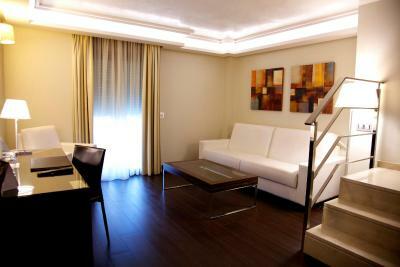 This spacious, air-conditioned room includes 1 extra large double bed and 1 single bed. 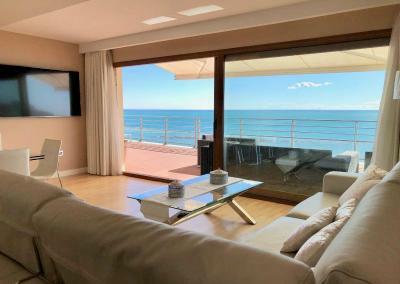 It offers sea views and has a full LED 42-inch TV. 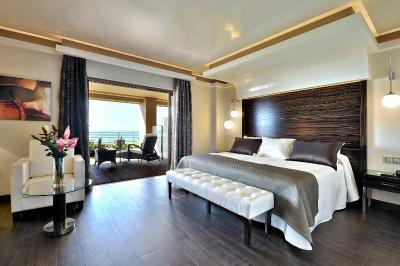 This spacious, air-conditioned room offers spectacular sea views and has a full LED 42-inch TV. This spacious, air-conditioned room has a full-led 42-inch TV, and a mini-bar. This interior-facing room comes with a private bathroom with bathrobes and slippers. This spacious, air-conditioned room comes with full-led 42-inch satellite TV and an iPod docking station, as well as a CD and DVD player. It has a laptop safe, a small fridge and an electric kettle. Mineral water, fruit and a selection of tea is included. The stylish bathroom includes a bathrobe, slippers and toiletries. 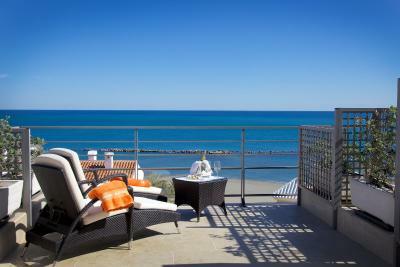 The private balcony features sea views. 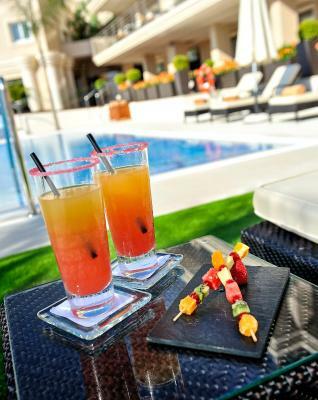 This room also includes unlimited access to the spa experience, including the dynamic saltwater pool, sauna, Turkish bath, contrast shower and ice area. 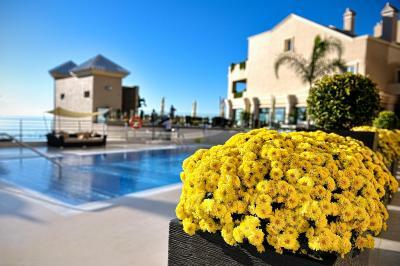 10% discounts on treatments in the Óshum Spa are included. 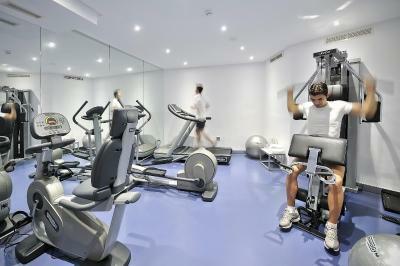 Guests also have 24-hour a day access to the gym, as well as free breakfast buffet, newspapers, parking and valet services. 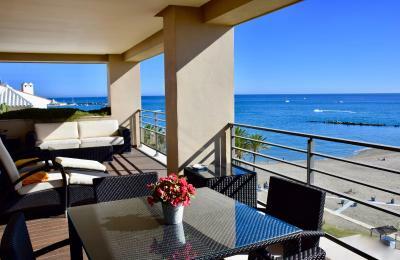 This 125 square yards penthouse offers a 75 square yards terrace with panoramic sea view, an exterior dining area and sun loungers. There is an spacious living room including a seating area with flat-screen TV, and totally equipped kitchen are available for guest comfort. There are 2 bathrooms, one featuring a spa bath and shower. 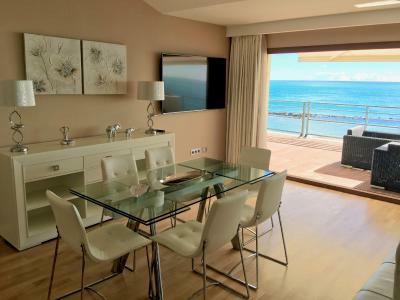 Sea view is available from all the different rooms. 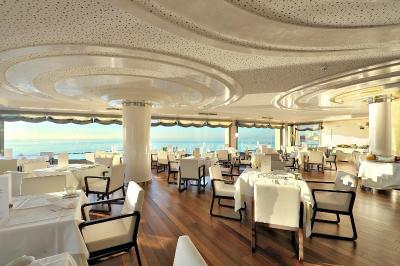 The largest and most exclusive suite features extraordinary views of the sea. 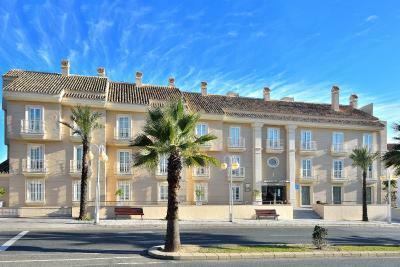 It has an area of 275 m2 distributed in two bedrooms, two bathrooms, toilet, kitchen, dining room, large living room and covered terrace. Solid wood flooring in all dependencies including the terrace to which one has access from the living room, dining room and main bedroom. 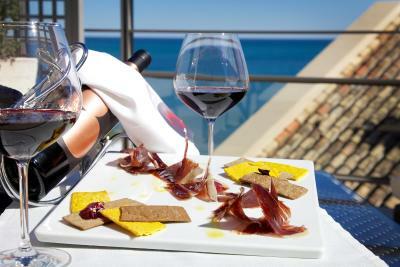 The Vincci Selección Aleysa Boutique & Spa is an exclusive hotel where all details are important. 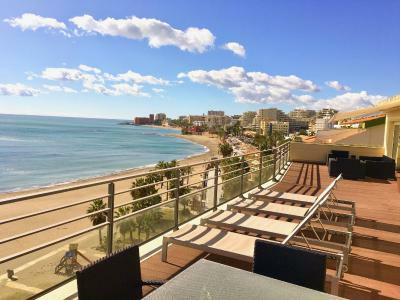 It offers an ideal location with direct access to one of the best beaches on the Malaga coast, but very close to leisure spots such as Puerto Marina. House Rules Vincci Selección Aleysa, Hotel Boutique & Spa takes special requests – add in the next step! All children under 16 years are charged EUR 100 per night for extra beds. Vincci Selección Aleysa, Hotel Boutique &amp; Spa accepts these cards and reserves the right to temporarily hold an amount prior to arrival. Vincci Selección Aleysa, Hotel Boutique & Spa accepts these cards and reserves the right to temporarily hold an amount prior to arrival. Please contact the hotel directly for courtesy car regulations. The hotel was throughly amazing. The room was very clean and spacious. 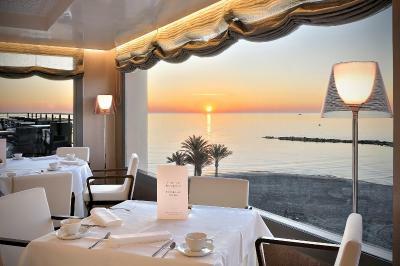 Breakfast is exceptional with a great view on the see. 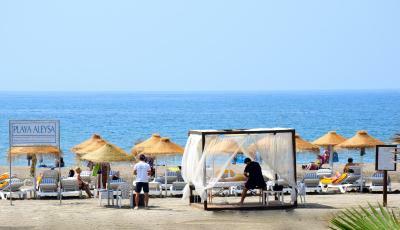 Staff is very friendly, our trip was very enjoyable we will certainly come back! The staff were fantastic. Amazing level of service. Everything about the hotel was wonderful. We loved hiring the free bikes and breakfast was superb. Friendly helpful staff. Huge rooms with great views and nice comfortable beds.